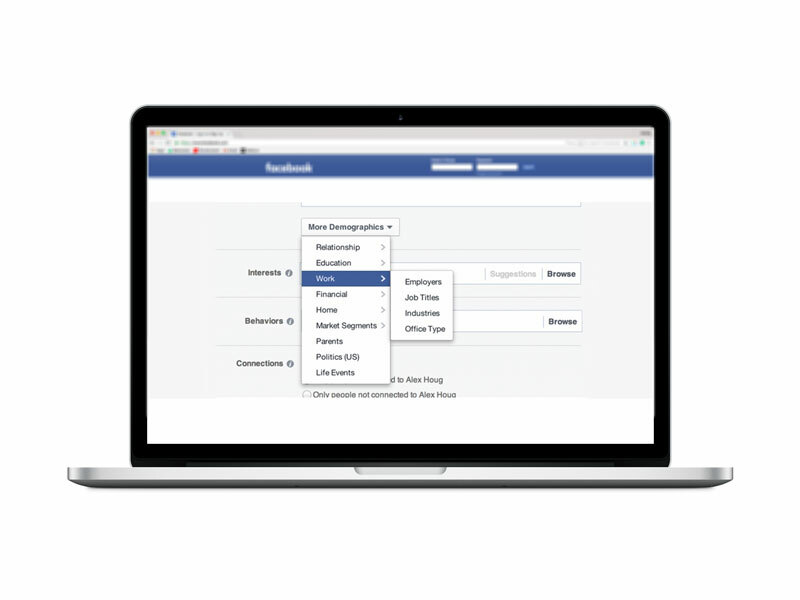 Facebook recently announced some additional targeting capabilities that make it possible to target by industry, Job title or even specific company. It brings with it some interesting prospects for advertisers. In practice, this means you’re able to combine filters and send ads to a much more targeted group of individuals than before. We’ve found this functionality to be incredibly useful to many of our B2B clients and even some consumer direct clients. For example, travel agents represent a niche but very important group for many advertisers in the hospitality and travel industry. Using Linked in and Facebook you can create agent specific content and then send it directly to the newsfeeds of folks who list their job title as “Travel agent”. Or maybe you’re a Seattle based advertising agency who wants to reach a group of decision makers in the northwest with your blog post. You might find yourself targeting a group of job titles like “Marketing Manager”, “Brand Director” or CMO specifically in Seattle, Portland and Boise. This kind of targeting can produce niche lists in the thousands or hundreds of thousands revealing specific, high value targets that in the past you may have had to purchase from a list. Even better, this list updates itself in real time so you avoid outdated or incorrect data. While mainly useful in B2B situations, there are occasions when this targeting can be useful for direct to consumer advertisers. By targeting specific large corporation whose headquarters are located nearby your business you can find creative ways of reaching people very near you. For example developers located in Seattle’s South Lake Union area may want to target people with Amazon as their company given it’s proximity. While perhaps it’s not useful to every client its probably more useful than you think and worth exploring as part of your next campaign.